Halloween night is coming. You've carved a scary pumpkin and pinned a skeleton to your front door. These decorations, as old superstitions say, will help scare off the dead during the spooky holidays. But what if you wanted to lure the dead spirits to your house? Sounds odd, right? Not in Mexico. The Day of the Dead, or el Día de los Muertos, goes back to the vibrant Aztec culture of Mexico. It was a month-long celebration intended to honor ancestors and the continuation of life. 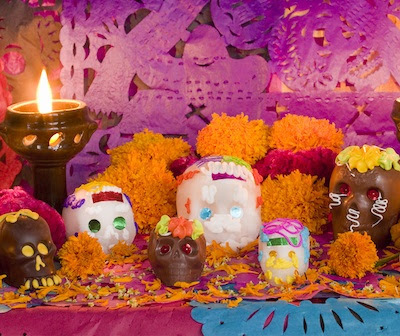 Today, the Day of the Dead is celebrated on November 1st and 2nd in Mexico and many parts of the United States. It's the perfect extra holiday to add to your Halloween plans! 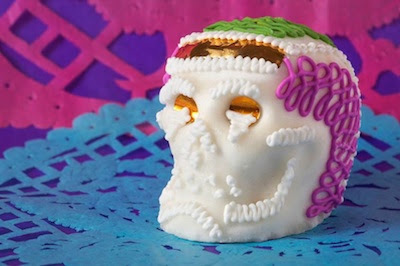 In honor of Dia de los Muertos, Little Passports features a recipe for Seriously Spooky Skeleton Cupcakes on their blog. They are a fun treat for both Halloween and Dia de los Muertos as they look like skeletons! 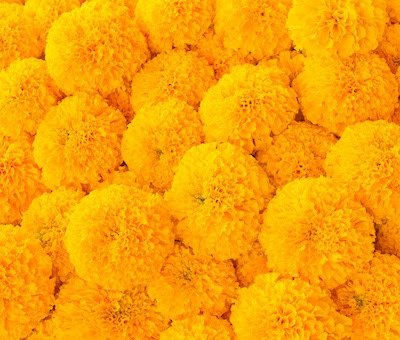 And, since the marigold is the main flower of the holiday, there's also a marigold craft project on the Little Passports Blog. You can create the flowers with tissue paper and pipe cleaners. Read more about Dia de los Muertos and get instructions for the fun activities on the Little Passports Blog.